For those that don't remember, Jones was one of the most efficient lead guards in America for the first month of the season before he was officially diagnosed with Leukemia in January. And while Jones' impact on-the-floor doesn't hold a candle to the importance of his off-the-floor health and recovery, it can't be understated how much the Longhorns missed him last year. Texas overcame a colossal hurdle battling through the Big 12 gauntlet without their best perimeter weapon, and racked up enough signature conference wins to earn the respect of the committee on Selection Sunday. Unfortunately, that postseason hype would come to an abrupt halt when 7-seeded Nevada edged past the 10-seeded Longhorns in OT, marking the 2nd time in three seasons Shaka Smart has been bounced in the 1st round. And while the Longhorns can suffocate opponents to death with their defense, it's the other part of basketball - some refer to it as 'offense' - that has really confounded Shaka and the 'Horns over the past two years. While Texas did chart a significant improvement on the offensive end of the floor last year, they still finished with the least efficient offense in the Big 12 for the 2nd consecutive season. Since Isaiah Taylor went pro in 2016, no guard for Texas has posted an Offensive Rating above 104 for an entire year - in other words, every guard except one has been 'average to below-average' from a pure efficiency lens during that span. 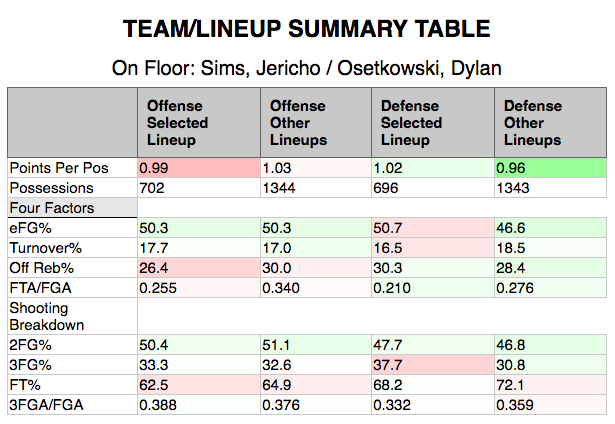 Somehow, of all the perimeter talent Shaka has trotted out onto the floor (names include Eric Davis, Jacob Young, Kendal Yancy, Kerwin Roach, Matt Coleman and Jase Febres) a grand total of ZERO have been able to develop a reliable outside jump-shot, which is why Texas' offense is often confused for a brick-laying competition. Even the enticing and versatile 6'9 Dylan Osetkowski may fool you with a smooth and confident shooting stroke, but his career percentages tell the true story - Osetkowski has made just 30% of his 203 3-pointers over three full seasons at Tulane and Texas. Unfortunately, those shooting woes didn't stop him from jacking up a team leading 146 attempts from behind the stripe last season. One solution could be trying to dictate a more uptempo style of game by ramping up defensive pressure and capitalizing on fast break opportunities via steals and defensive rebounds. Incumbent starters Matt Coleman and Kerwin Roach have to lead the way here, both of whom are plus athletes and disruptive defenders on the perimeter. There are some formidable reinforcements joining the backcourt rotation (incoming transfer Elijah Long, highly touted freshman point guard Courtney Ramey), along with rising sophomore Jase Febres, so there's certainly enough bodies to keep the backcourt fresh and sustain effective high-pressure defense on the perimeter for 40 minutes. Shaka has always favored playing multiple point guards on the floor together, which means Ramey and Long could get major minutes right out of the gate in their first season in Austin. Each guard brings something a little different to the table offensively, but a premium will be placed on consistent outside shooting as this group competes for playing time. 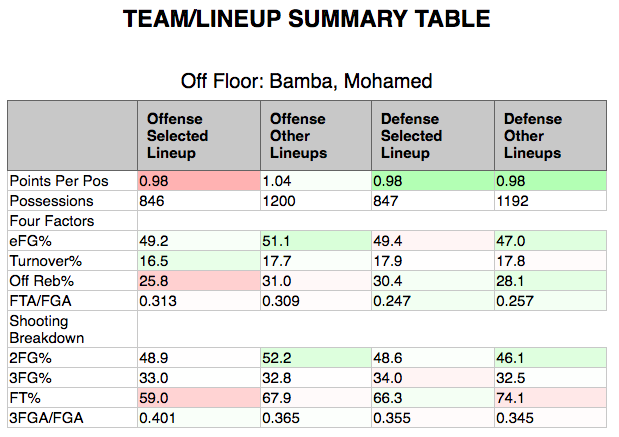 Here's the takeaway - it will obviously be tough to sustain a top-15 defense without a generational physical specimen like Bamba patrolling the paint, but I'd also wager any regression this year will be minimal. Bottom Line: Despite the offensive hiccups that Shaka and the boys need to iron out this offseason, this is still a roster stacked with talent. A good chunk of that talent will now benefit from a full year of seasoning as Shaka will have his most experienced roster since he first arrived at Texas in 2015-16 (that squad secured a 6-seed in the Big Dance by the way). The wildcard this year is obviously Andrew Jones. If he can return anywhere near the form he was in prior to the tragic diagnosis early last season (and recently released videos sure look promising), Texas could trot out one of the best backcourts in the country. But even if he doesn't return, the Horns still have the DNA of a top-40 team and one which should have NCAA tournament expectations yet again in Shaka's 4th year at the helm.